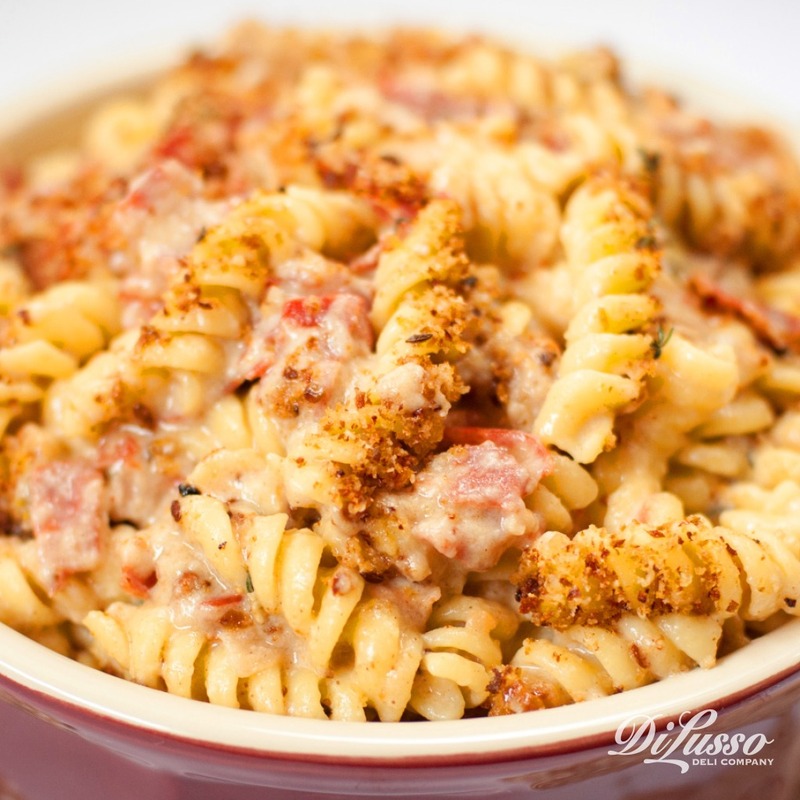 There’s just something about velvety cheese and curly noodles that brings back memories, especially childhood ones. Early memories of standing on a chair to help mom or dad pour the noodles. Triumphant memories of making it by yourself for the first time (even if it was out of a box). Yet our taste in food has evolved a bit since those early years. While creamy, melty cheese has the same allure, we also crave complexity. We yearn for dishes with more flavors and different textures – spicy, smoky, crispy. That’s why we made the goodness of classic cheddar mac even better by incorporating nontraditional ingredients. Start thinking outside the box with these easy ways to spice up (literally and figuratively) your next cheesy bowl. Don’t limit yourself to one type of cheese. Go beyond cheddar. Get creative. Try mixing in a little of our Havarti herb cheese with a hint of oregano, basil and parsley. Or add our mozzarella for extra creaminess. In our Smoky White Truffle Mac & Cheese we used three different types of cheese – our smoked gouda and Provolone to make the lush cheese sauce and shredded Parmesan for a topping. Each brings something unique to the dish and blends well with the other ingredients - crispy strips of our prosciutto, sautéed mushrooms and white truffle oil. A handful of marinated, roasted or raw veggies will add a nice burst of color and flavor. 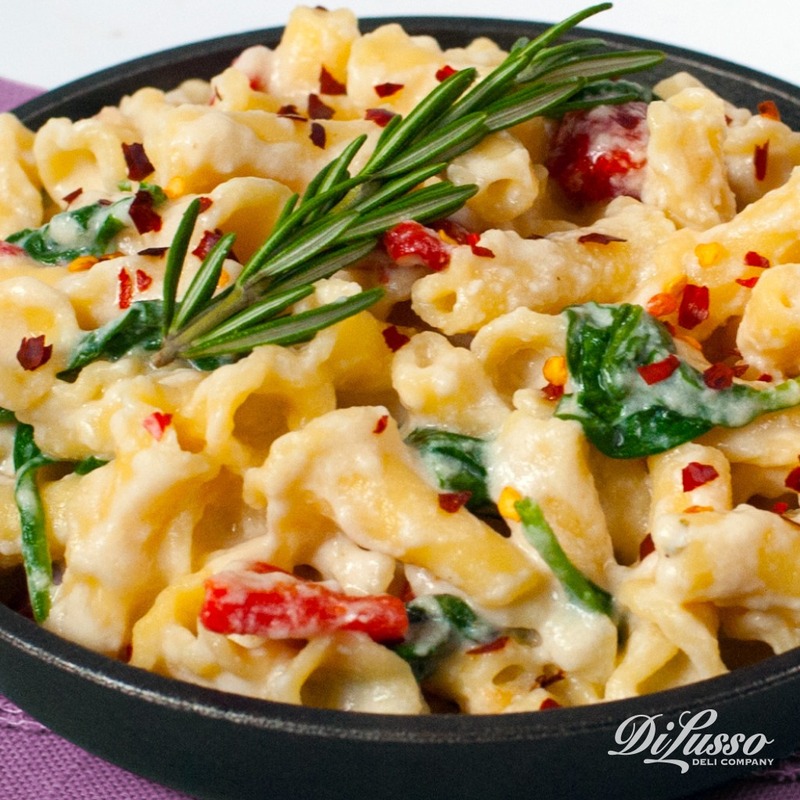 Just take our Spinach & Roasted Red Pepper Mac & Cheese as an enticing example. You get a pop of green from the fresh spinach and a nice red hue as well as a hint of garlic from the roasted red pepper strips. Top it off with a few shakes of red pepper flakes and you’ve got a veggie-ful bowl on your hands. 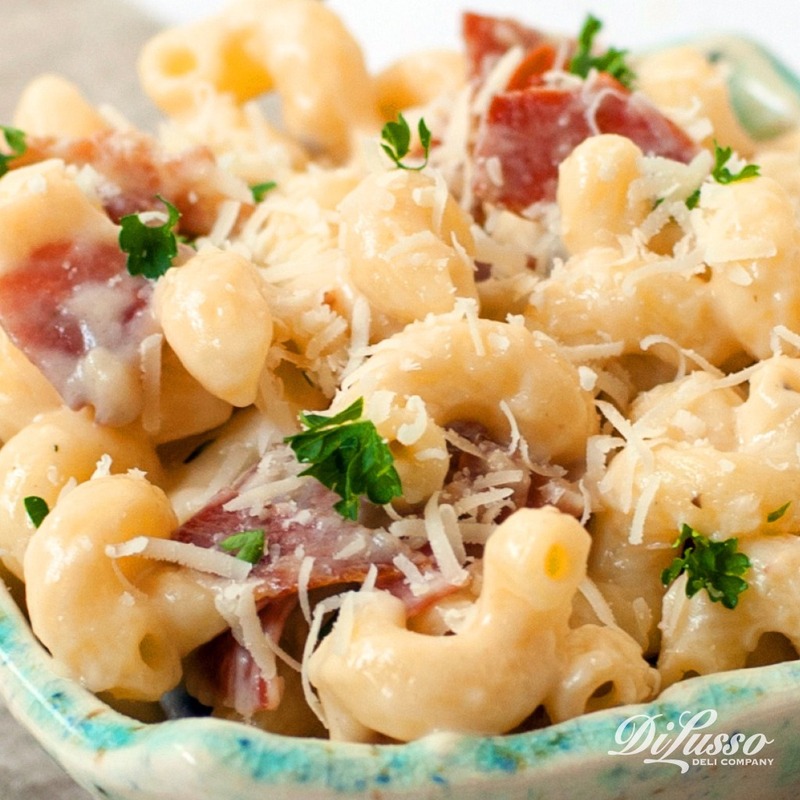 For a heartier mac, try tossing in cubes of anything from our ham to chicken to dry sausage. Yes, we’re completely serious about the dry sausage. Cured with unique spice blends, dry sausage upgrades the flavor and texture experience. 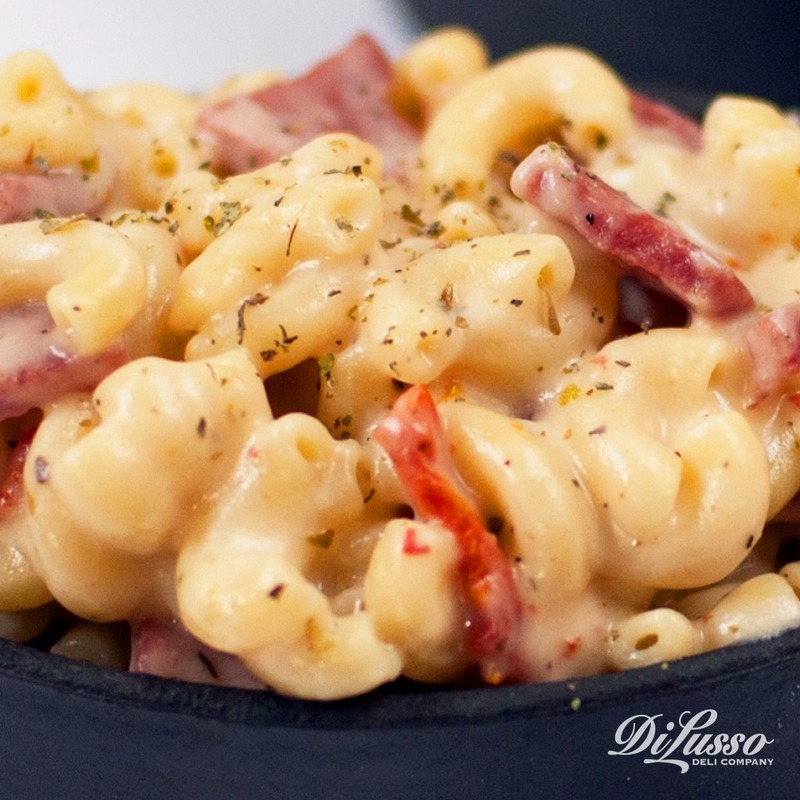 Our Italian Mac & Cheese captures the rich, hearty taste and garlic notes of our Hard Salami in a creamy sea of our melted provolone and mozzarella, plus sun-dried tomatoes. Give your mac a crispy, crunchy finish with breadcrumbs. Simply top finished mac and cheese with a breadcrumb mixture (like breadcrumbs, thyme and melted butter) and broil in the oven for 6-8 minutes or until breadcrumbs are golden brown. It instantly enhances the presentation and adds a delightful bit of crunchiness. You can easily crank up the heat by cooking with spicier cheeses and incorporating mix-ins like pickled jalapeños, harissa or fresh peppers. Keep in mind that fresh ingredients, especially if they still have their seeds, will be significantly hotter than those that have been pickled or de-seeded. We used a mix of our pepper jack and mozzarella to craft a medium-hot Pepper Jack Mac & Cheese sauce. Pickled jalapeños add a spicy-sweet flavor while breadcrumbs help tame the heat and make for a crispy finish. Take flavor cues from some of your favorite international cuisines. Anything from Indian to Mediterranean to Creole. Each will bring something unique and special. 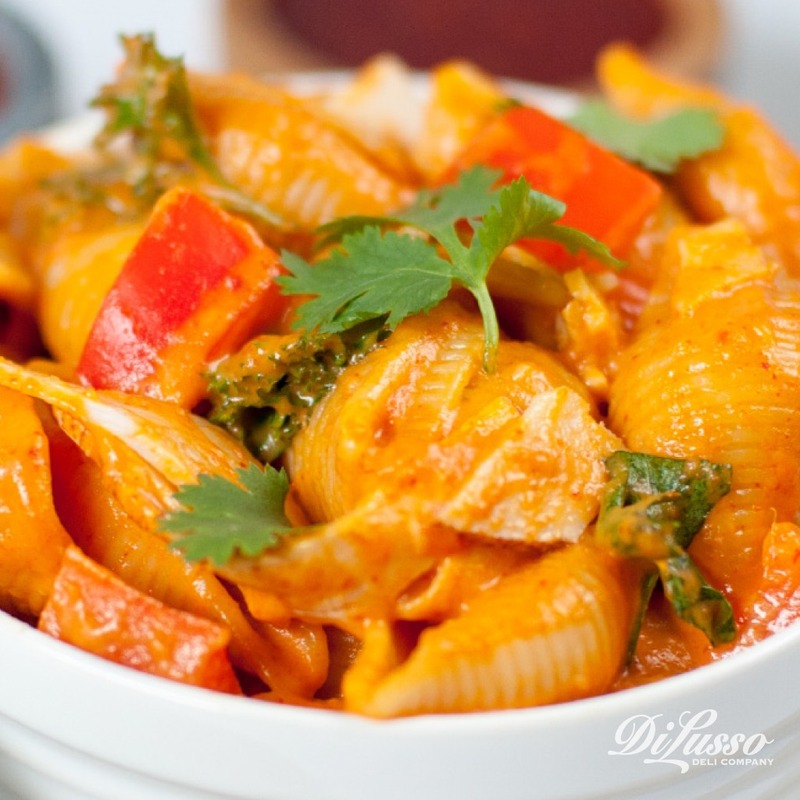 We infused our internationally inspired mac and cheese with traditional Thai ingredients, like bell peppers, to create this Thai Red Curry Mac & Cheese recipe. Thai red curry paste and coconut milk give it that distinct Thai flavor while our colby jack and Wisconsin sharp cheddar make the cheese sauce velvety and smooth. For a splash of sweetness, we topped ours with a sweet Thai chili sauce.